Bigger Calves = Bigger Performance??? I get a lot of athletes who are after the quest of the holy calves. A large group always in that hunt are baseball pitchers. I’m not sure what it is but everywhere I’ve been, including the Angels, pitchers have always asked about how to make their calves bigger. 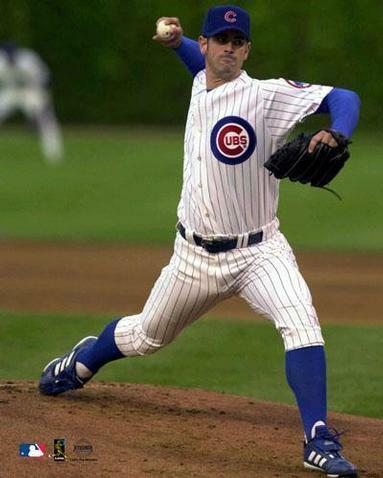 Part of the problem recently was the lower body of Cubs pitcher Mark Prior. Mark Prior is known in baseball circles as the pitcher with “huge legs, and even bigger calves.” Now, huge legs are a good thing most likely, especially for a pitcher. In reality, huge calves probably don’t have any effect, positive or negative, on the act of pitching. However in speed oriented sports it can play an outcome. Many athletes believe larger calves increase your vertical, or make you faster. This isn’t generally the case as the calf complex contributes very little to overall power. The gastroc, and soleus should be trained to store and release elastic energy. That is essentially its job during sprinting. We don’t want it to give way and absorb force upon the foot strike during a sprint. This would increase our ground contact time and slow us down. Here’s the problem with creating huge calves on purpose. The larger the calf complex, the more the lower leg weighs. Having more weight below the knee and towards the ankle can actually hinder running speed, according to Charlie Francis. It increases the lower leg lever, and slows leg turnover. We want less weight towards the distal end of the leg and more on the proximal. In other words, we don’t want a large calf muscle, we want large thighs, hams, and glutes. It an extreme case, it’s almost like wearing an ankle weight. So in the end what are we to do? Don’t directly train the calves with strength work. It takes valuable time away from more important needs as we know the calves contribute very little to overall power. All our training for the lower leg comes in the form of barefoot warmups, sprinting, explosive jumps, hops, medball throws, etc. Now there are cases where this information may not directly pertain. One such example would be basketball. Basketball players may need direct work due to previous injury history, weaknesses, or deficiencies. Training the calf / ankle for proprioception would be highly important as well in preventing ankle injuries in basketball athletes. The lower leg generally doesn’t need to be trained directly with strength work. Again, the elastic properties can and should be obtained through explosive jumps, hops, plyometrics, and sprinting. I’ve heard top level track coaches comment that the faster athletes usually have a small calf muscle high up on the lower leg, as opposed to a longer, fuller calf muscle. Sprinting, jumping, throwing, etc. all involve powerful movements around the hip. Train for hip extension and hammer the glutes, hamstrings, and hip flexors, and leave the calves to benefit from sprinting and jumping. She's probably not going to win the 100m any time soon! In the end direct calf work most likely isn’t going to be worth the training time. It can be trained through other means just as effectively.